Each of the brands Electro Breeze, Dynamic, Envirosept, TFI operate on the same principle of electrifying the media in order to produce a high efficiency filter. 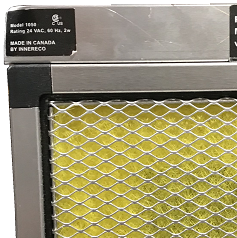 However, only the Electro Breeze and Dynamic, including Nature’s Home MicroPower Guard®, One Hour Xenon Power Guard® and other brands manufactured by Dynamic, are capable of capturing 97% of the particles down to 0.3 microns (What is a micron?). The others do not create enough of a magnetic field or sustainable field to achieve such a high efficiency rating. To compare this variety of quality air purifiers would require you to purchase one of each to see how superior the design of the Electro Breeze is compared to the others. We have included pictures below to show you what we have observed to be some of the strengths and weaknesses of each design. 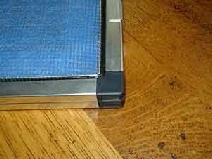 Diamond screen has sharp edges like expanded metal screen. Be careful! Diamond screen is made of aluminum that will oxidize when electricity is applied. May produce aluminum dust. Difficult to get replaced when it breaks or tears. 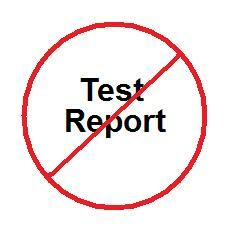 As of the printing of this web page, no test report can be found on the efficiency (not pressure drop) of the new MicroPower Guard® Diamond. Ask for it! 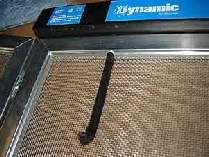 Also uses Stainless Steel mesh screen. 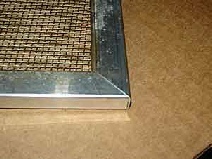 Stainless Steel screen mesh does not oxidize nor does it shed particles. 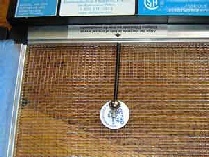 Stainless Steel screen mesh lasts longer and is more tear resistant. The screen can be replaced at your local hardware like a window screen. Make sure they use Stainless Steel mesh.